The interior designers gave the prototype of the JAZ – a new brandof German Hospitality – an unmistakeable style. 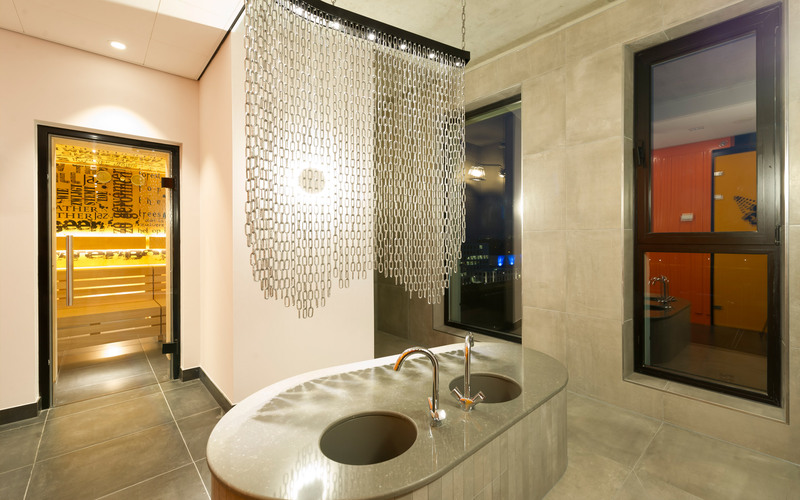 Walls made of concrete and decommissioned shipping containers, ceilings made of expanded metal and blank industrial flooring – this wellness area has a very special DNA. Anyone who visits the JAZ spa area can notice a certain lightness with every step that only our Dutch neighbours seem to be able to manage. 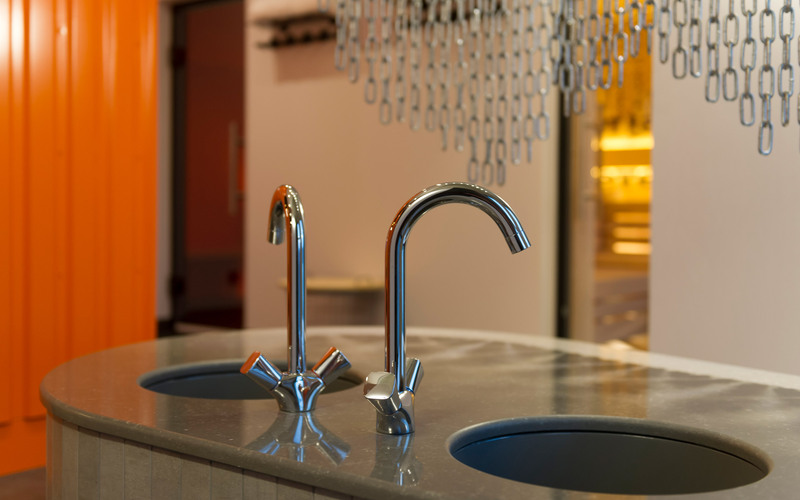 The designers have cheerfully integrated this vitality and joie de vivre in their shapes, surfaces and colours, so it hardly comes as a surprise that orange is the dominant colour. Total surface: 108 m². Individually imprinted Sauna PROFI, steam bath D6 in orange, thermal bench with heated footbath. 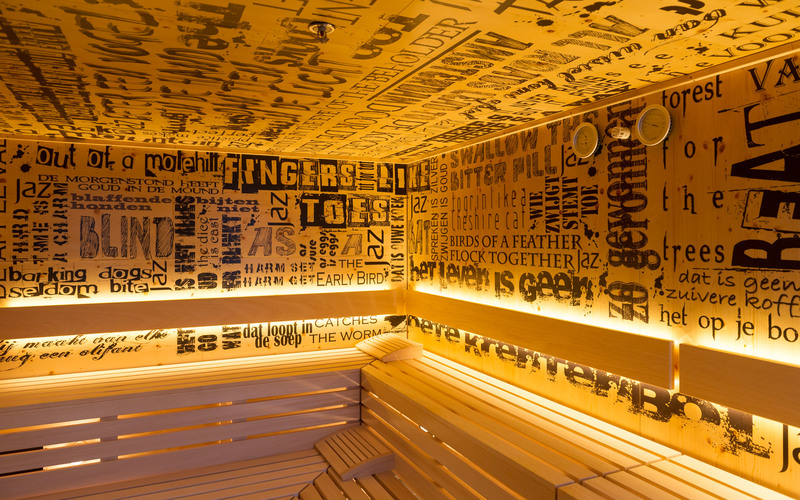 In Hot Poetry, an individually created sauna cabin, traditional sayings and aphorisms are painted on the walls and ceiling. The steam bath is pure orange, the towels hang on re-purposed guitar holders. It’s all about the music.